Anyone who understands Google’s stance on off-page SEO should be familiar with the Google Disavow Tool. The Disavow Tool was originally offered to help webmasters and SEO consultants provide feedback directly to Google about link cleanup efforts. Why were we all cleaning up our links you ask? Surely you’ve heard of Google Penguin. If you have not, Penguin is a series of penalties and algorithm updates that Google began rolling out back in April of 2012. The whole point of Google Penguin was to curb the use of automated link building, and to better rank the websites that earned well-deserved, natural links. Google has pushed out multiple updates to Penguin over the past several years. To learn more about the various major updates and penalties that Google has created over the past decade or so, review the Google Algorithm Change History on the Moz website. Why Question the Usefulness of The Disavow Tool Then? Many of you may be wondering why we’d even be discussing this topic. Well, Google has supposedly now built link scoring into the algorithm itself. If true, this would mean that they are simply ignoring questionable links, as many industry experts now suggest is reality. Yet many in the industry still advocate the exercise of reviewing a link profile, doing a full link audit, and submitting a disavow of spammy links or domains to Google. So what gives? For an industry often associated with sketchy behaviors, the natural conclusion is that they’re just trying to make a quick buck. That conclusion is dead wrong. Let’s delve into some reasons I’m advocating this position. The most glaring indication that the Disavow Tool remains useful is simple: it still exists as a feature for Webmasters on Google Search Console. Not only does it still exist, but it warns heavily of how advanced of a tool it is. For example, take a look at the screenshot below, which makes it clear that submitting a Disavow should only be done by a highly experienced professional. As you can tell, this tool absolutely has an impact on how Google views external links pointing at your website. The language in the screenshot above is very direct and clear: the Tool matters. So maybe you’re skeptical of the first point. After all, Google has a lot to do, what with a dozen or so daily updates to the algorithm. Maybe they’re too busy to remove this old, outdated feature, right? That’s a valid argument. And it’s one I might buy, if I weren’t still identifying and cleaning up messy link profiles. Many of these are clear-cut cases of negative SEO. Others are situations where the clients are buying SEO campaigns from poor providers, who are just link spamming with some automated link building software. Like many in the industry have said for years, you don’t get quality and sustainable results for $299 / month. In many cases, you’ll get burned and they’ll vanish without a trace. 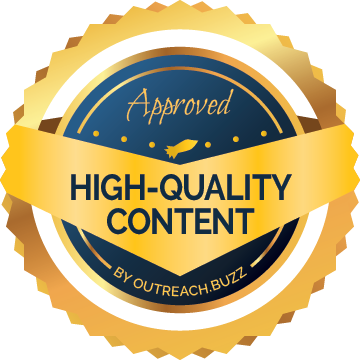 For real, high quality off-page link-building that actually delivers results and is fully white hat, you’ll pay upward of $1,000 / month. If the SEO campaign isn’t generating original, publication ready content as part of that effort, it’s not best of breed. If we no longer needed a feedback and request mechanism to Google, negative SEO would cease to exist immediately. I am seeing firsthand on a regular basis that it not only exists, but it also does real damage to domain authorities on victimized websites. As you may have surmised from the last paragraph, Google is still working hard to figure this out. They’ve made great strides in fighting link spam and other automated ways to trick the algorithm. This is evidenced by the much improved quality of the SERPs. But off page isn’t the only thing they are trying to figure out. They flipped the algorithm to focus on intent a few years ago. Artificial Intelligence was folded in under the name “RankBrain.” Local SEO continues to expand and grow by the year. Now we even have quickly improving voice search capabilities. And none of those new developments include the biggest evolution they’ve been building out the past two years: the mobile-first index. So link valuation is one of many priorities. And it’s one on which they still have a ways to go to get buttoned down. Notice how I described the Disavow Tool as a feedback and request system. That’s really what it is – nothing is guaranteed by simply submitting a file to the tool. Even if you’re positive you did everything properly, from outreach to linking domains to formatting the file correctly, it could have absolutely no effect. Google doesn’t even overtly tell us what they do with the information once it’s received. Yes, the goal is to point out poor domains linking to your website, so Google can dismiss those when evaluating your off-page / links. That’s what they say it’s for. And I’ve seen it work very effectively, although slowly at times. Even over the past several months since Google has started saying they just discount bad links. Google isn’t omniscient (although they sometimes seem like they might be!). Their algorithm is a very complex calculation that takes hundreds (maybe thousands) of variables as input to generate the real time rankings on the SERPs that we see when we search. How does the algorithm know which domains to count and which to ignore? With well over a billion websites live on individual domains these days (and counting), we’re talking about a mound of big data too large to even imagine! So our feedback is paramount to the algorithm getting there. The feedback we provide in the Disavow Tool is highly valuable to Google in this link policing effort. And what better place to learn of spammy linking sources than from the webmasters themselves? It’s rather ingenious, don’t you think? Crowdsourcing at it’s finest. So there you have it – four important reasons the tool remains relevant. Google often talks in terms of their vision before things are available. Will they no longer need to tool someday in the future? I’m certain that time will come. But for now, don’t shoot yourself in the foot by presuming it’s obsolete and hoping Google does you right. Once you’re penalized, you’ll regret it as you try to dig back out of a major loss in organic traffic. It’s simply not worth the risk. Stay on top of your link profile, keep telling Google what to ignore, and enjoy the ride. If you are inexperienced at managing off-page efforts, we’re here to help. Just say the word and we’ll step right in.